Our graphic design team can help to provide you with creative and effective design solutions to suit your needs. Our help and advice is always at your disposal. We offer a professional edge by engaging in stylish and consistent design. An effective logo will make your business identifiable and appealing, and keeping a consistent style guide conveys an image of professionalism and reliability. Quick Print will provide you with a range of options and will tailor the logo design to your needs. There is nothing that we cannot do! We can provide your business with personalised and functional stationery, from business cards, letterheads and envelopes to receipt and tax invoice books, rubber stamps and brochures. We also specialise in layouts for books, magazines, reports, calendars and other large scale publications: Putting together a large publication can be difficult and frustrating in standard word processing software, relieve yourself of the task and we can format these publications for you expertly and efficiently. Our Web Design service uses Brain Fed Studio based in Melbourne. We sort out everything to get your business online. We take the time to discuss your needs and expectations to create a website that sits above your competitors and drives more business your way. Create: We create custom web design completely tailored to you. We ensure your website is modern, engaging and functional. Ecommerce: Why not sell online? Have your products available to your customers 27/4 with little overhead. With the online marketplace expanding rapidly with more and more people opting to buy online it is almost vital to sell online to stay competitive. Multi Platform: All websites we create are designed for mobile, tablet and desktop as standard. No matter how anyone opens your website it will always display in the most user friendly way. SEO: We will make sure people will find your website on Google and provide monthly reports about engagement. CMS: We provide an easy use platform to update parts of your website with training provided. Hosting: We Take care of all the hosting and email hosting so you don’t have to. Using the best servers on offer so your website is always up. Let us come up with ideas to grow you business and make it happen. 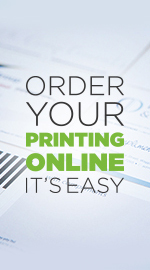 Print Media: We can advise you on the best way to promote your business through print and create solutions that will generate the best advertising for your budget. Social Marketing: We can create engaging social media content and design to keep your customers in touch with your business. Digital Marketing: Email marketing and online advertising is a great way to drive business your way.